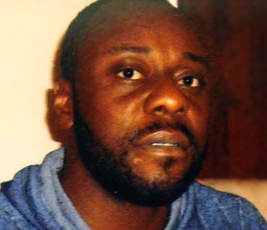 And yet the as news leaks out from eye witness reports, we are again horrified to learn of the circumstances leading up to the death of Angolan asylum seeker Jimmy Mubenga, who died on a plane after being restrained by three private immigration officers. One eye-witness has claimed he pleaded for help, and that he couldn’t breath, as the three officers, all big men sat forcefully on him. It seems that if it wasn’t for people coming forward the official account would be rather different. We must now demand a full inquiry and if necessary a moratorium on private companies being used to deport foreign nationals, to get to the bottom of this case and their procedural methods. Indeed. The company concerned should suspended until an inquiry ascertains their role in his death. When people got food poisoning at Heston Blumenthal’s restaurant it was shut down until it was okay to resume trade. – A few human beings get upset tummies allegedly due to eating at Blumenthal’s restaurant and his ability to trade is stopped until an inquiry considers it safe to resume. – A human being who had failed in his claim for asylum dies, allegedly due to the actions of a private contractor of the state, and it is business as usual. The above state of affairs and the dearth of comments here compared to the string about the Apprentice make me question where we are in terms of addressing injustice. People can argue about celebrity and popularity, and making the blog relevant to everyone, but who is calling the tune to have us dance this particular dance? When cases like the above are crumbs compared to the Apprentice story, and in the wider blogosphere Gamu from X Factor, what does that say about us?